End out the month of February with some spring time color tea bag charms - reminding me of Easter. Pretty pastel of pinks, purples and slight blues. Here I have created fringe again, this time with beads. The nickel wire work is also adorned with baby bugle beading. 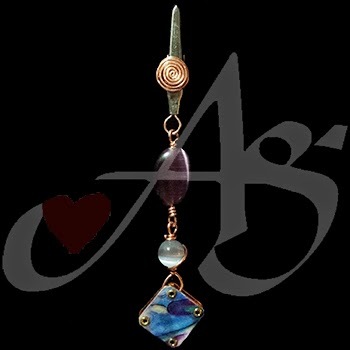 The faceted crystal really compliments the focal swirled glass bead. Definitely time for tea on the patio with this one! Enjoy!! Here's a fun one for Thursday! Fringey wire! 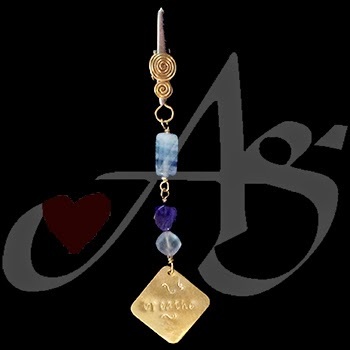 The movement on this tea bag charm is, well, charming! Can't help but smile when looking at this one! 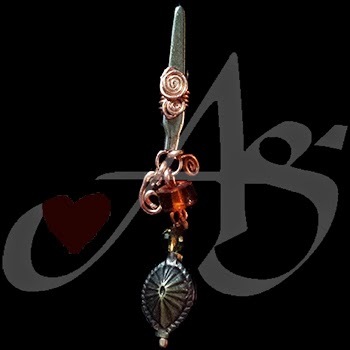 Nickel wire work with warm browns and topaz colors brightened with a peanut pearl. The fringe at the bottom just 'topped' it off with character! Enjoy!! Let's see a little green - even though it isn't grass!! Another tea bag charm to help stay home in this bitter cold on the mid-west eastern coast of the US!! 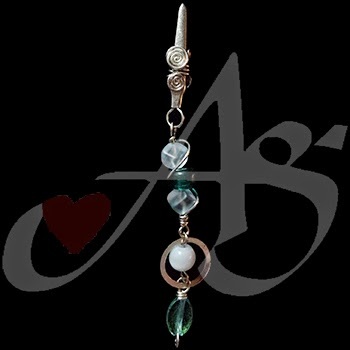 This piece is a mix of nickel, copper and silver with a little green jade and crystal thrown in there. Makes me hopeful for Spring! Enjoy! I get so frustrated trying to keep up with social media AND create pieces... I wish I could find the magic combination. Unfortunately, social media is a must (so I am told) to keep current with the virtual population... whom I love and I am grateful for... but my dilemma? It takes serious time away from my design and creation work. Regrettably, (not really) God only gave me 24 hours like the rest of the world in a human day and I do need sleep.... otherwise I get a migraine and then I lose more days... *sigh* Soooo, please forgive me if I miss a day or check out the other social media outlets where they may have an art piece that the blog missed. 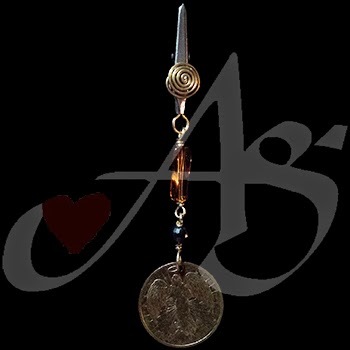 Enjoy this tea bag charm with warm coppery colors and metal - warm you will with a hot tea and cozy colors!. Adorned with a little fancy metal and wire work. Enjoy!! 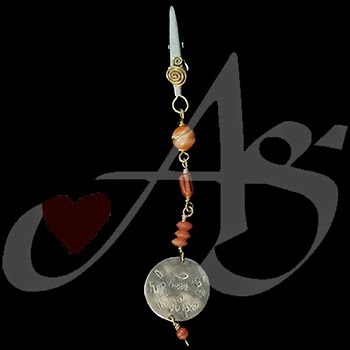 Great way to warm up the day with this tea bag charm... copper and orange colors adorning an angel charm. Little reminder to invoke your guardian angel... S/He is just waiting to serve and protect you. I like to remember people that your guardian angel can also be your messenger. Wonderful, generally forgotten, treasure!! Enjoy! Happy Ash Wednesday.... may you have an enlighten journey! May you have a wonderful day of fasting - beginning a great journey to becoming a better version of yourself! 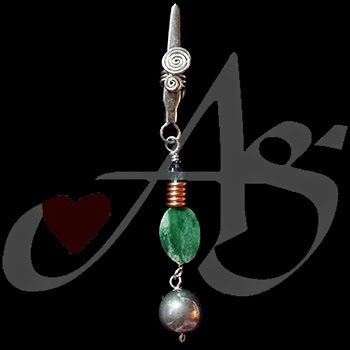 Green Tea - Green tea bag charm! More words of inspiration while you are relaxing with some tea. 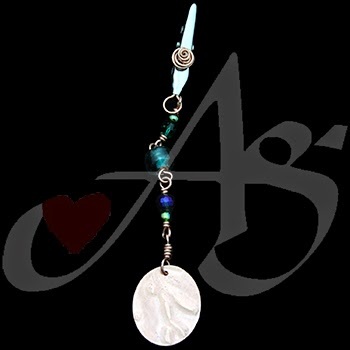 This tea charm has creative metal wire and interesting blue glass beads. 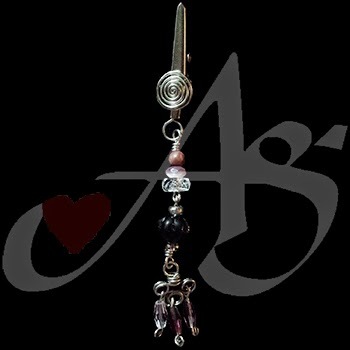 We will be focusing on the line of tea bag charms. 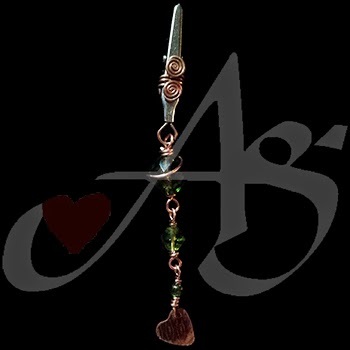 This charm has a combination of beads and metal work, nickel and copper combination. Enjoy! Check out other specialty gift ideas. Good Morning Monday!! 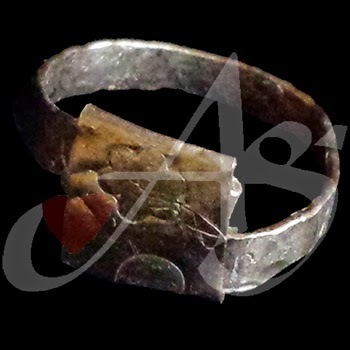 Here is another wrapped ring. The finish is a bit different and the wrapping on the top is less, but fully textured. Just a pretty none the same! Enjoy!! 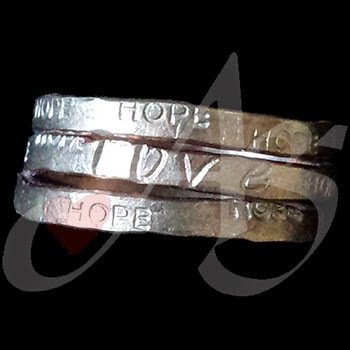 Inspirational little Stack... ring wrap! 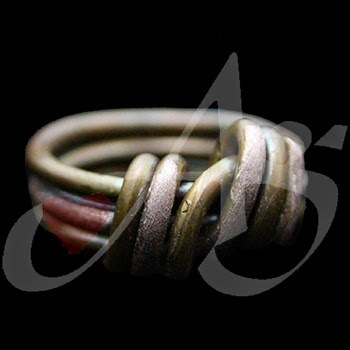 This copper ring is textured w various stamped shapes in conjunction with a nice fire coloring. 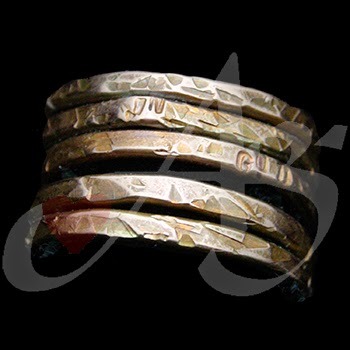 This shorter stack would make a great thumb ring. Enjoy!! 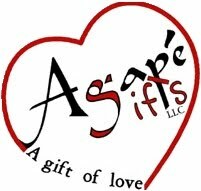 check out www.AgapeGifts.org to see other great creations - contact Laura@AgapeGifts.org w the link of the creation you like to inquire more information. 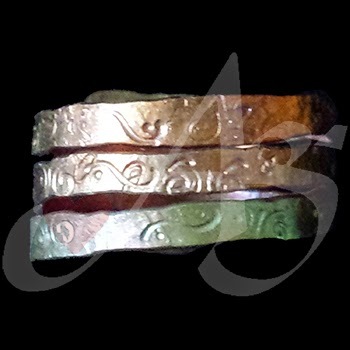 Continuing with the wrap rings... I like the stacking of multiple rings. Again a message of trusting in God! 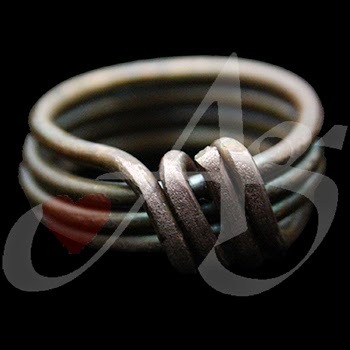 This ring is a good wear for someone with nice long fingers... unlike my little hands! Enjoy! !